Damp ceilings and walls may be a result of structural damage. In most cases, however, it is a sign of improper ventilation. Once the mould appears inside a house, the tenant assumes that moisture has come in from outside. Numerous disputes have erupted because of the issue of who is liable for the mould damage. However, it is difficult to find out who or what has caused the mould: the tenant or faulty structural design? 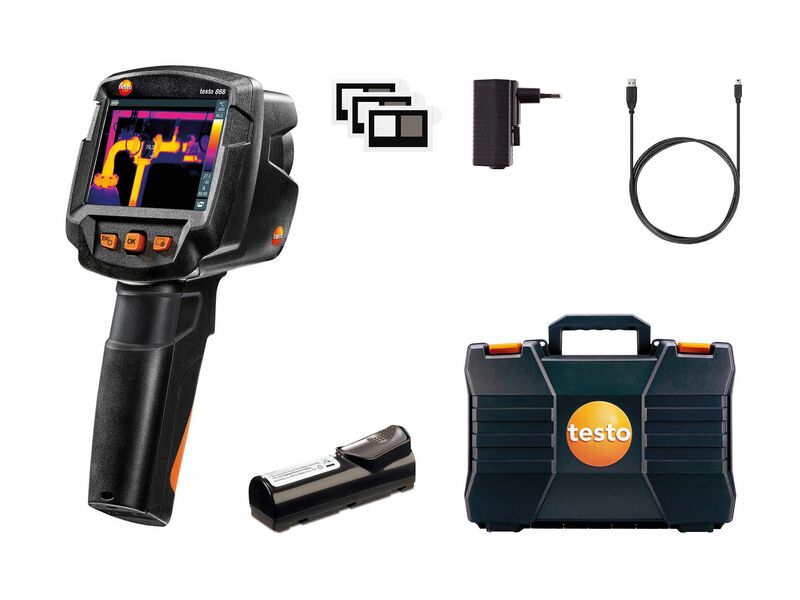 The testo 865 thermal imager combines all the important properties required for high-quality thermographic measurement – it is accurate, robust, fast and reliable. 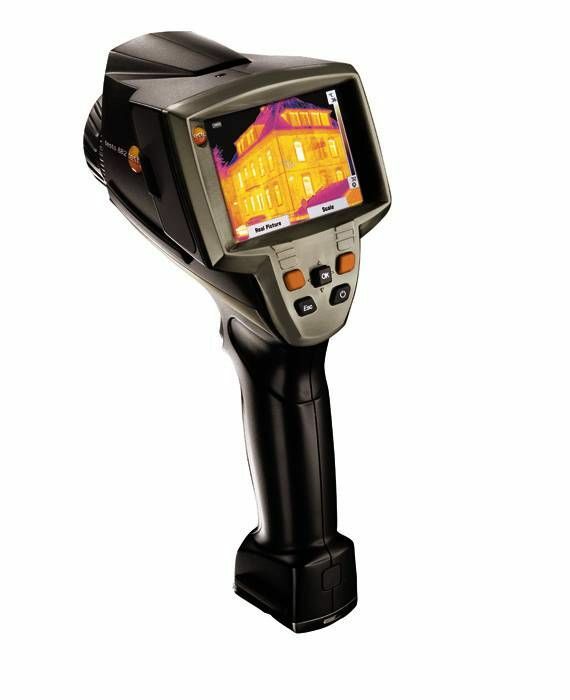 The testo 865 provides high-quality thermography at an affordable price and keeps going even in tough working conditions. The case supplied with the thermal imager means it can be conveniently transported, so it is always there for you when needed. 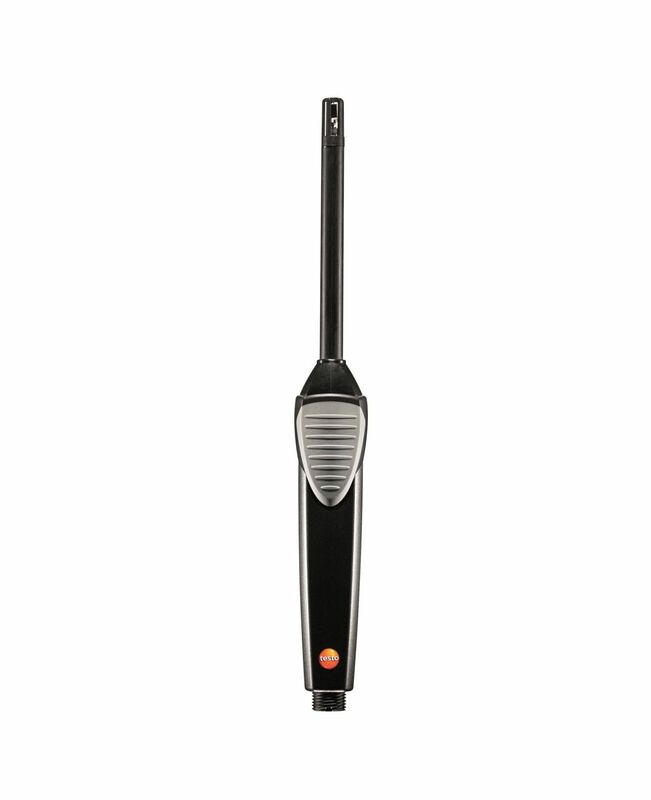 The testo 868 thermal imager is characterized by its professional measuring performance and its easy handling. 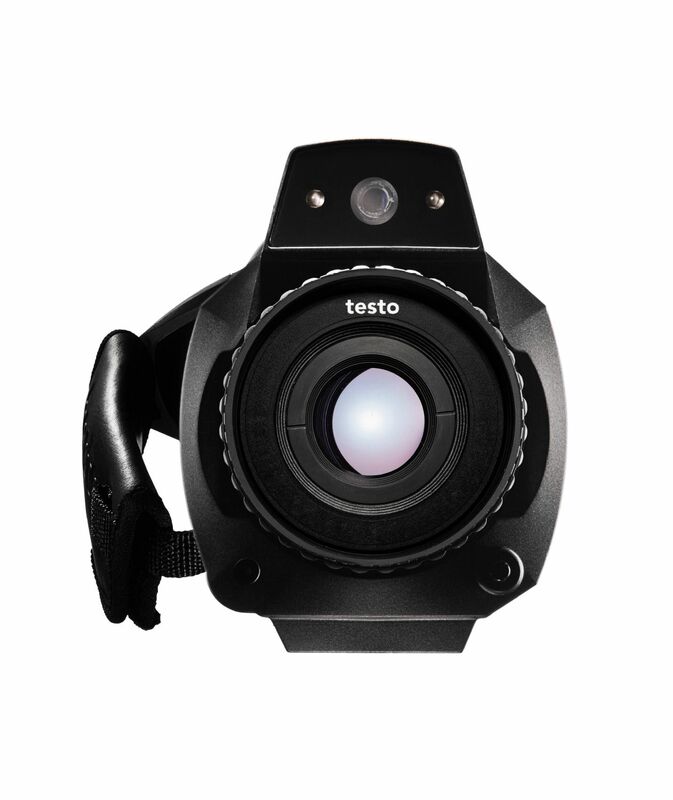 It has the best thermal image quality in its class, an integrated digital camera and impressive smart functions. The case supplied with the thermal imager means it can be conveniently transported, so it is always there for you when needed. Smart and networked: the free testo Thermography App enables you to write and send reports on site, as well as saving them online, and lots more. The testo 872 thermal imager gives you the best possible support for your work in professional industrial and building thermography. Take thermal images quickly, reliably and smartly with the highest image quality, very good thermal sensitivity and innovative functions. The case supplied with the thermal imager means it can be conveniently transported, so it is always there for you when needed. 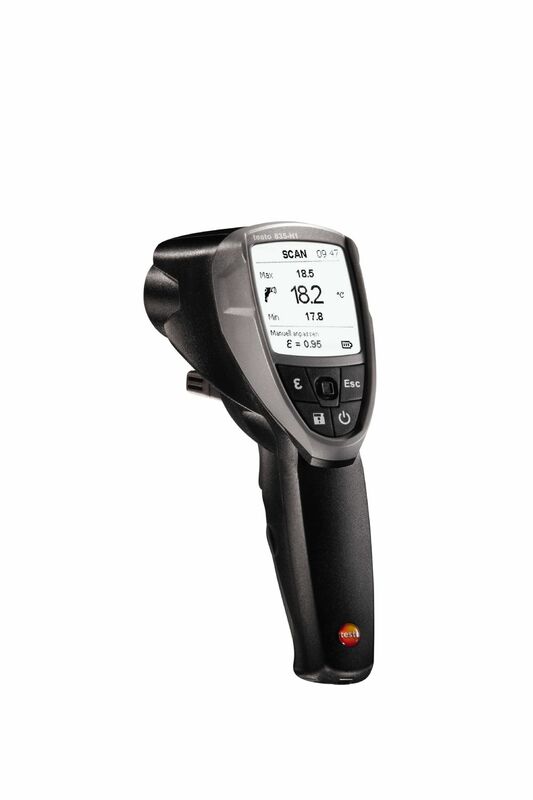 The compact testo 605i temperature and humidity measuring instrument features professional measuring technology in an intelligent format: it can be used in conjunction with a smartphone/tablet and the testo Smart Probes App to reliably measure air temperature and humidity in rooms and ducts. 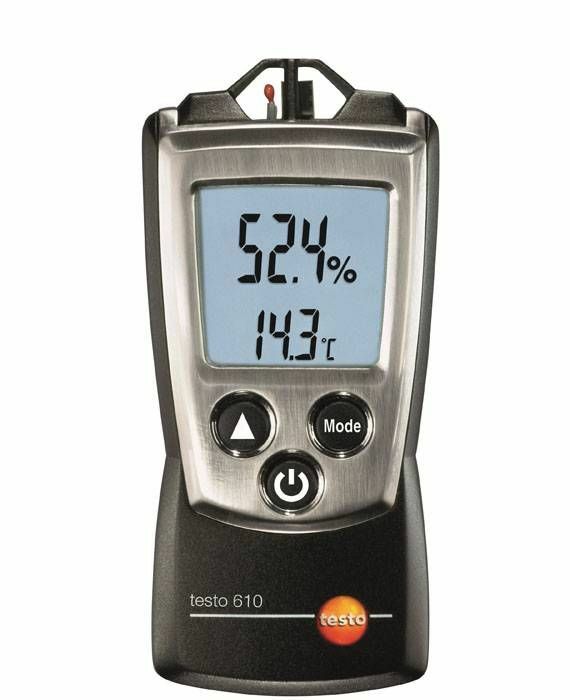 The handy testo 610 thermohygrometer asurement of temperature and humidity in indoor areas. In addition, the compact instrument can also calculate the dew point and the wet bulb temperature. 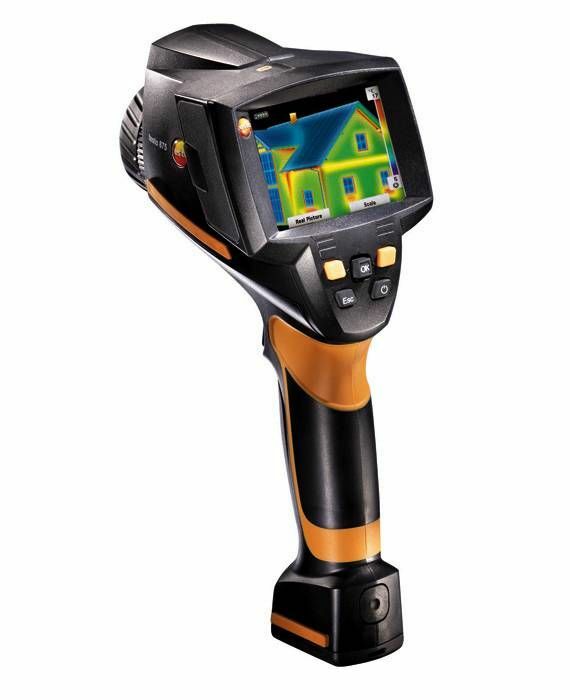 The testo 871 thermal imager combines high infrared resolution with professional measuring performance and easy handling. Its high-quality pixel detector, an integrated digital camera and, last but not least, the innovative functions are the features that impress. The testo Thermography App enables the testo 871 to offer smart thermography to meet professional requirements in industry and trade. The case supplied with the thermal imager means it can be conveniently transported, so it is always there for you when needed. Smart: the free testo Thermography App enables you to write and send reports on site, as well as saving them online, and lots more. 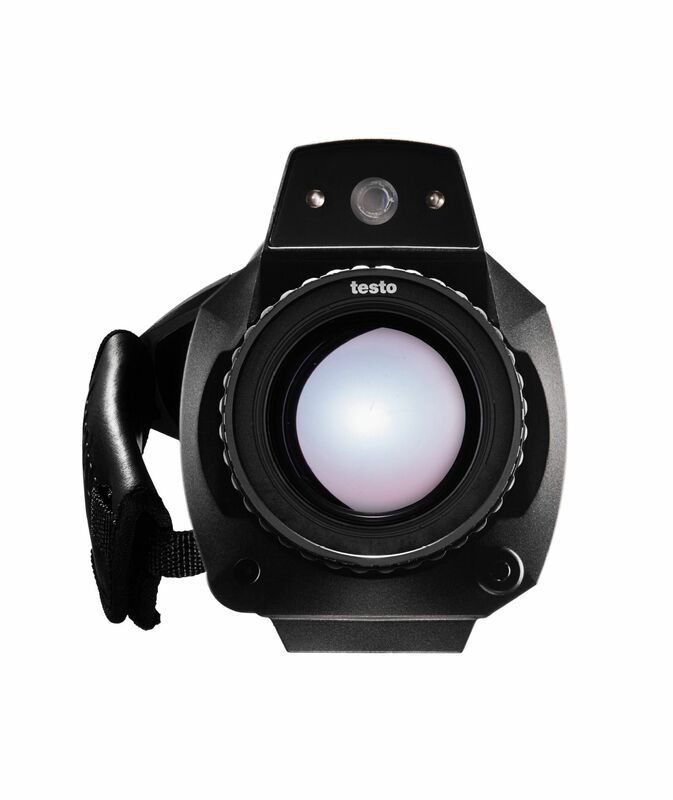 The testo 882 infrared camera is the most precise one-hand thermal imaging camera with pistol grip design from Testo. Special measuring modes including moisture image or high temperature option make it ideal for a wide variety of different applications. 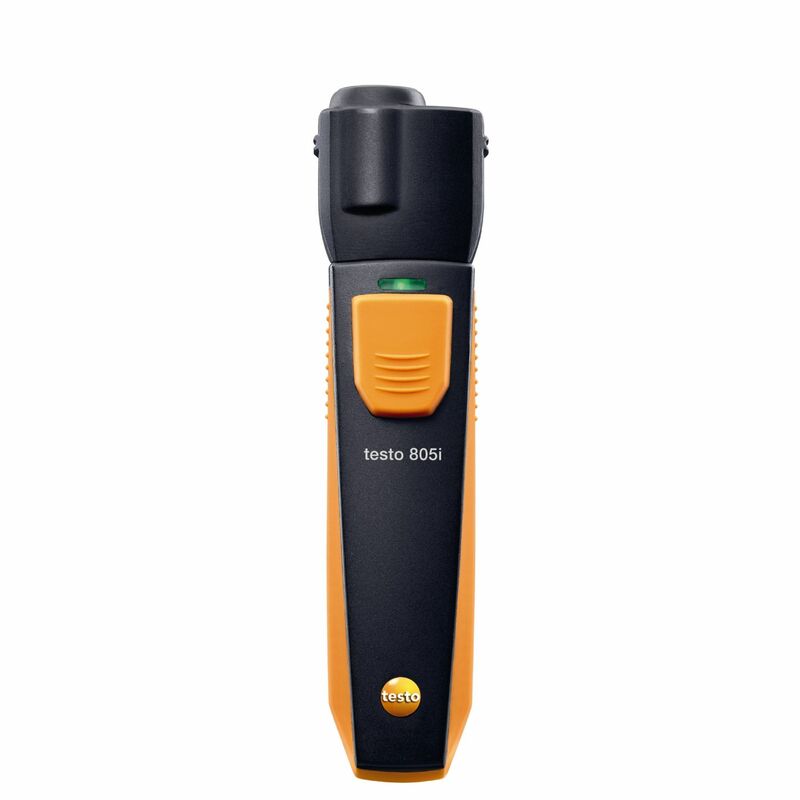 Carry out non-contact and App-controlled measurement of wall temperatures, as well as fuse and component temperatures in air conditioning systems: with the professional testo 805i infrared thermometer with 8-point laser circle for highly visible measuring spot marking. 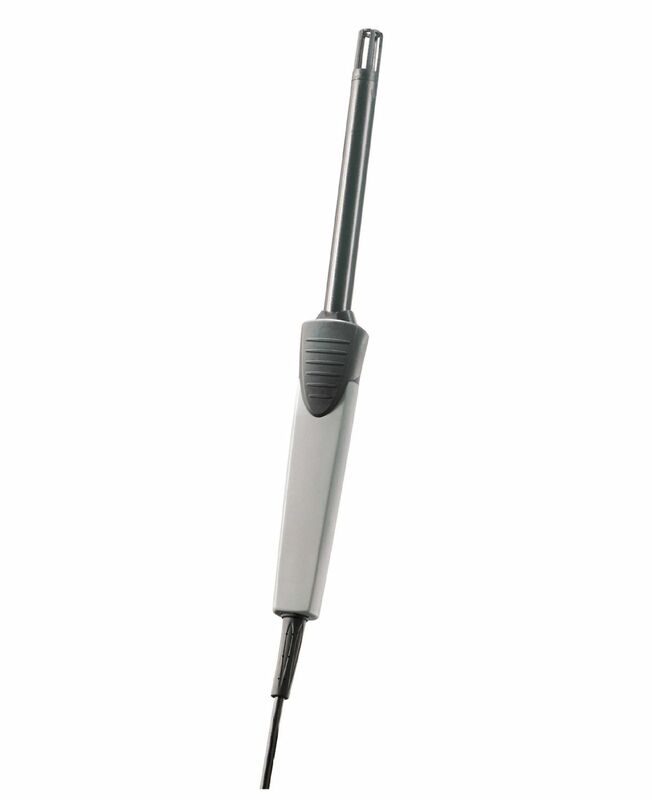 Non-contact temperature and moisture measurements – with only one device. 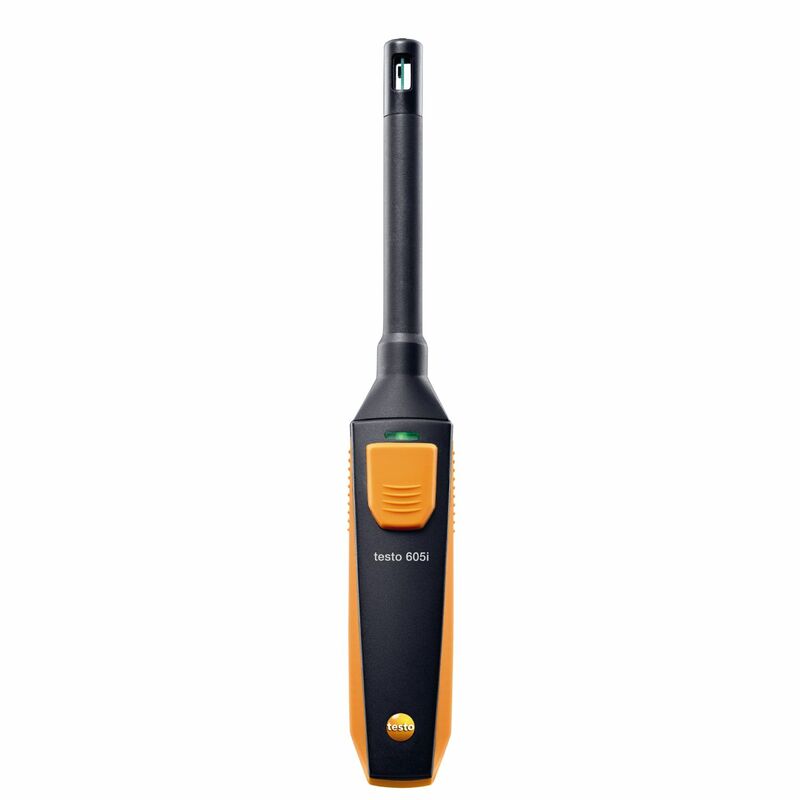 The testo 835-H1 infrared thermometer not only measures the temperature but has an intergrated moisture sensor that allows you to measure moisture too. The ideal probe for measuring the humidity and temperature of the air in storage, refrigerated and work areas, as well as in air conditioning/ventilation ducts. Also suitable for long-term measurements. Ideally equipped for industrial and building thermography: The testo 875-1i thermal imager means even the smallest temperature differences can be seen with a thermal sensitivity of < 50 mK. You can create real images with the built-in digital camera and assign these to the thermal images. Inspection of voltage systems, high-temperature measurement and circuit board analysis on the one hand. Control of solar plants, complete building shell thermography and building thermography for energy consultancy on the other hand: the testo 885 thermal imager is ideally equipped for both professional industrial thermography and building thermography. 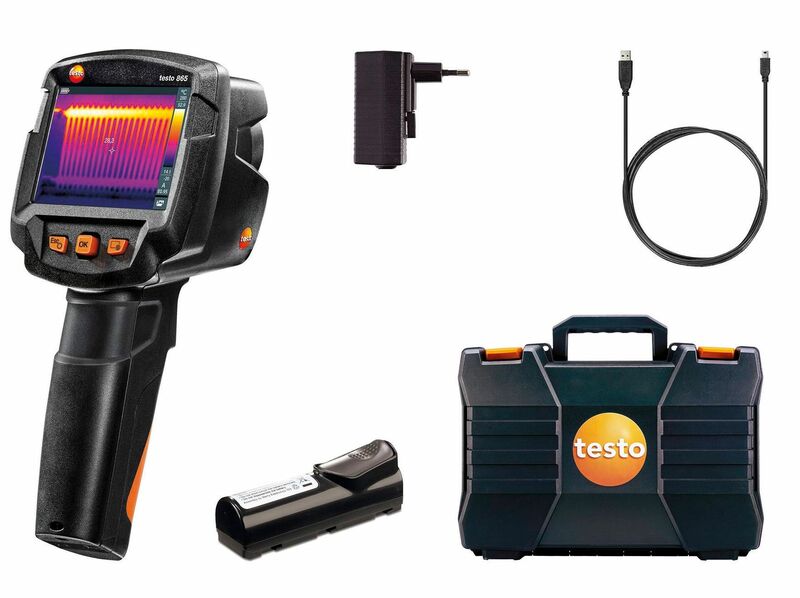 Professional industrial and building thermography: make sure you get the testo 885 professional thermal imager in a kit that includes SuperResolution and comprehensive accessories. 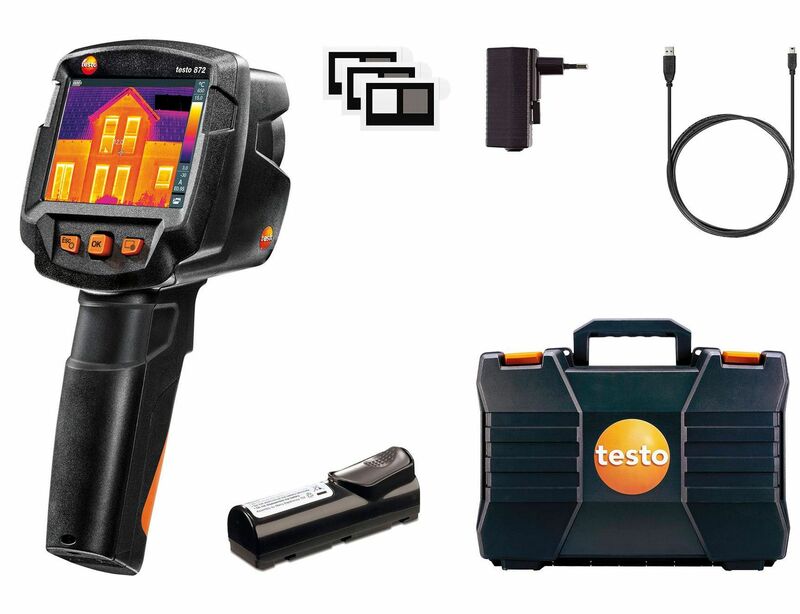 With the testo 875-2i thermal camera, you can do your industrial and building thermography work even more easily and quickly: The built-in digital camera and voice recording via the headset make documentation and assignment of thermal and real images easier. 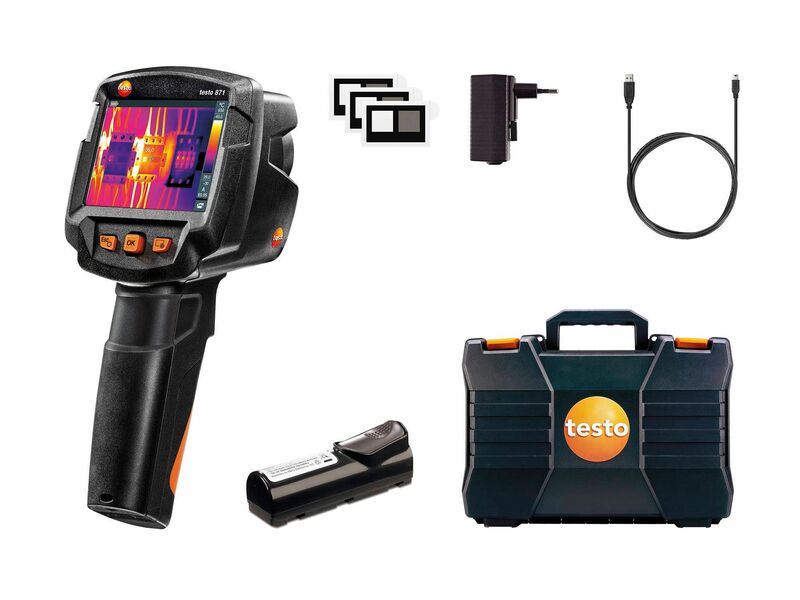 Get your testo 875-2i professional thermal imaging camera and telelens set now and the accessories you need are only an arm’s length away! The testo 890 thermal imager means you are ideally equipped both for professional industrial thermography and for building thermography: e.g. for inspecting voltage systems, high-temperature measurement, circuit board analysis, control of solar plants, complete building shell thermography and building thermography for energy consultancy. 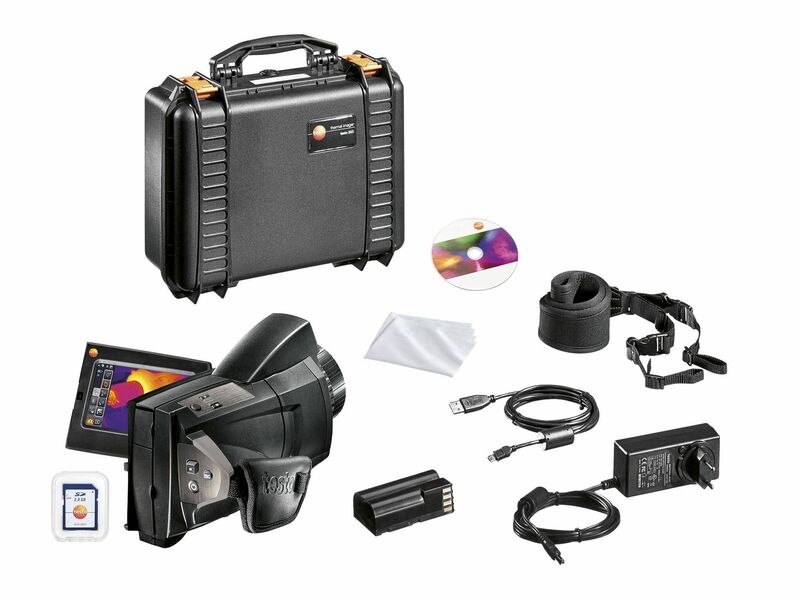 Integrated digital camera, optionally exchangeable lenses, many more features, large scope of delivery including transport case, memory card, professional software, etc. Integrated digital camera, many more features, large scope of delivery including transport case, memory card, professional software, etc. The testo 890 thermal imager with super-telephoto lens means you are ideally equipped for professional thermography involving long measuring distances: e.g. for inspecting high-voltage lines – even the smallest of connections can be thoroughly checked from greater distances. You can also pinpoint hotspots on defective cells in large solar parks or visualize irregularities in large industrial plants (e.g. in refineries). Measure humidity with ultra-precision: using the high-quality digital humidity and temperature probe (Ø 12 mm). Suitable for use in storage, refrigerated or work areas, as well as in air conditioning/ventilation ducts.